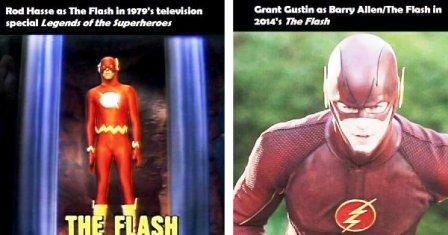 Grant Gustin first appeared in a couple episodes of Arrow before getting the pilot for The Flash greenlit. Had the show not been a big success, the CW network was ready to take care of their own: Barry Allen would’ve found a recurring home on Arrow instead. The Flash has had crossovers with both Arrow and Supergirl, the latter reuniting former Glee co-stars Gustin and Melissa Benoist.